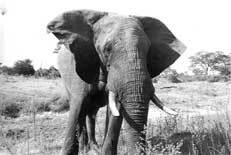 Around 300 elephants of Botswana would soon be donated to Angola -- a country bereft of wildlife thanks to a civil war. Conservation organisations have welcomed the move as the government of Botswana was planning to kill the animals for controlling their growing population. "Relocating animals to restock areas is a better solution to the government's problem rather than lethal culling, and we fully support it," said Jason Bell, director of the International Fund for Animal Welfare.